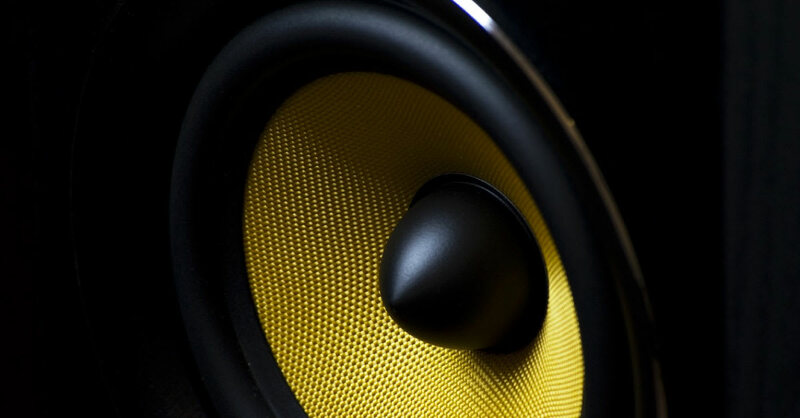 If you want to experience the full aural majesty of movies or songs, a Subwoofer is what you should be looking to add into your home or car audio system. Subwoofers are designed to produce sounds lower than what regular speakers are capable of. There are a few important factors to consider before you place down your hard earned cash for one. These factors include price, power, design, size and connectivity. To help you in your quest to find the most suitable subwoofer to meet your needs, we’ve rounded up some of the best subwoofers available on the Malaysian market in various categories. You don’t have to break the bank to upgrade your sound system. Phison’s A9 120 Watt Subwoofer system can be yours for less than RM500. Featuring a powerful 8-inch subwoofer and including satellite speakers with 1.5-inch tweeters, the Phison delivers high-quality audio for all your listening needs. The system features Bluetooth compatibility for easy pairing with mobile devices and standard RCA ports and USB for wired connections. You can even directly play music off your USB pen drive or SD Card with the built-in decoder. It comes with a modern space aged designed and a remote control for easy manipulation of settings. The A7 is the younger sibling of Phison’s A9. As such, it features the same great features such as Bluetooth connectivity, USB port and direct play via built-in decoder for various sound formats. Outwardly, the design is also similar to the A9, and you’d find it difficult to tell the two apart. The main difference is internal, with the A7 featuring a smaller 6.5-inch subwoofer with a power output of 60 Watts, in contrast to the A9’s 120 Watts. If you don’t have much budget but would still like to add a subwoofer to your audio system, Sonic Gear has got you covered. For less than RM200, the BT2100 is a subwoofer system capable of providing a heavy bass to your sound system. The BT2100 also features wireless connectivity and Aux-in for easy connection, a wireless remote and LED display - all great features, considering the price range. Logitech is a well-known brand when it comes to computer peripherals and accessories. Their speaker and subwoofer systems have become a mainstay for modern computer systems and are often used by PC users around the globe. The Z625 Subwoofer system consists of a 400 Watt Subwoofer paired with a set of stereo satellite speakers. It delivers thundering bass and is THX certified, giving you true cinema sounds within your living room. The Z625 is also universally connectible to most input sources via the optical input, 3.5 mm headphone jack or RCA cables. Controls are simple for volume, treble, bass and power options. In terms of home subwoofers, you won’t get anything much louder than the Sonos Sub. This bad boy features a modern design and earth-shaking bass capabilities designed to fill even the biggest homes. The Sonos Sub Subwoofer system is easy to install and is Trueplay compatible. It also connects wirelessly to any other Sonos amplified audio components carrying the Sonos PLAY or Connect logos. Inside the subwoofer enclosure are two force-cancelling speakers which produce a deep bass with minimum rattle, allowing you to place it even on cabinets. If you already have an amplifier in your audio system which you would like to continue using, the Nexo LS1200 700W passive subwoofer is a worthy consideration as it allows you to use your existing amp while adding a powerful subwoofer. A passive subwoofer has two main advantages. Namely, you can first optimise the crossover from your satellite speakers to your subwoofer while picking the best position for them and secondly, you can get a higher output subwoofer at a lower price. JBL’s Cinema SB450 is a wireless subwoofer and soundbar combo that delivers thumping bass, crystal clear dialogue and musical clarity from your television set. The voice enhancement feature ensures that it delivers great bass and beats performance without ever drowning out the dialogue from the screen. Switch effortlessly between the sound from your TV and those from other sources with the SoundShift feature. Wireless Bluetooth streaming allows you to stream music wirelessly and keeps you from worrying about a mess of tangled wires. Yamaha’s YSP-2700 is one of the few subwoofer systems available in Malaysia with the capability to deliver true 7.1 channel surround sound. The subwoofer works in tandem with the 16 speaker soundbar using Yamaha’s propriety Digital Sound Projector technology to provide an immersive and mind-blowing aural experience. It is also wireless and pairs automatically with the soundbar, allowing you to place it anywhere you want. Harman Kardon’s JBL branded Soundsticks is a 3-piece system designed to produce high-quality stereo sound for your listening pleasure. The built-in mini stereo jack connection means you can easily plug in a large variety of music sources whether from handphones, MP3 players, notebook computers, desktop PCs or even old-school cassette decks. With its clean tones and low bass beats, the subwoofer supremely enhances your music listening experience. Setting up the system is also a breeze with minimal wiring. Controls are also simple, with treble and subwoofer control levers conveniently located on the back of the subwoofer unit. Mission’s new MS-150 active subwoofer is a perfect addition to your home entertainment or hi-fi system. It is especially suited for medium to small dwellings such as apartments or flats and provides ample clarity, depth and power to your audio system at an affordable price. The 8-inch driver capable of 150W peak power is housed within a sealed box cabinet and works best when paired with other audio components from Mission’s LX or MS series. Its simple and elegant black wood vinyl finished design also goes well with most decors. Kicker is a world-renowned brand when it comes to car subwoofers. The company is the pioneer and leader in Square Subwoofer systems. The Q Class L7 is a winner of both the TWICE PICKS AWARD and the prestigious CES INNOVATION AWARD. Similar to all their products, the L7 is crafted from heavy-duty cast aluminium and incorporates some of the most cutting-edge manufacturing components and techniques to produce an industry class leader in the 8-inch subwoofer category. The 900 Watt rated L7 easily outperforms most standard, similar wattage, round subwoofers. Your car audio system will surely stand out with the L7, thanks to its leading technology and elegant craftsmanship.